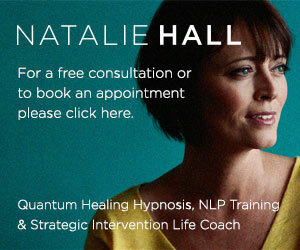 If you have any questions or you would like to book an appointment please call Natalie on 01202 767306 or 07947 427389 or email natalie@natalie-hall.com. What would it be like to observe seeming insults as interesting events? Or be energised and motivated by anger instead of withdrawing…? Do you feel stressed, worried or anxious? We know this can lead to physical and emotional problems, so schedule time every day to stop, rest & practice meditation, walks & self hypnosis. Practice visualising or imagining a peaceful scene, take a few long deep belly breaths and notice the release of any tension as you go back to the scene. Practice this regularly. Know you can get in touch easily with a professional if you continue to experience yourself and your life in anyway other than the way you desire. I can help you process what has been going on for you, come to your own realisations and give you the tools to create how you really want to be. You can get back on track as you off load past habitual ways of thinking and feeling and develop behaviours of success. Empowerment is in the choices we make. Ego does not want to surrender and Spirit just wants to Be. Copyright © 2019 Natalie Hall. All rights reserved.